Research. Brand Discovery. Identity. Logo Design. Don Corleone is an exclusive Italian fine dining restaurant concept named after Vito Andolini Corleone, a fictional character in Mario Puzo’s novel The Godfather, and played by actors Robert De Niro and Marlon Brando in the movie series based on the book. 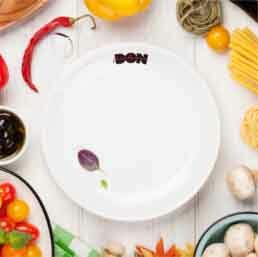 The restaurant is positioned at the top echelons of Italian gastronomy with a planned launch in 2019 in Mumbai. 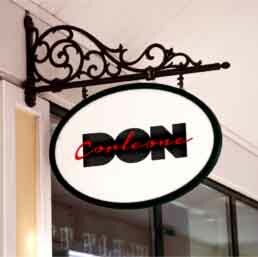 The client needed a unique brand identity for the Don Corleone restaurant brand with a design that was as iconic as the Godfather character. The design challenge was to create a premium logo that would reflect the vision of being a world-class exclusive fine-dining restaurant. in black and red that reflects the stature and novelty of this unique gastronomic concept. The Don Corleone brand identity was described as ‘a legendary classic’ by our client and perfectly suited to reflect the food and beverage concept that it serves as the face of. It’s bold and elegant design demands respect, just like the Godfather himself.